Jorge is a member of the International Strategy Group for PRIME International and a senior PRIME tutor. He has led teaching programmes in Angola, Brazil, Mozambique, Portugal and Spain. Jorge is a vascular surgeon. 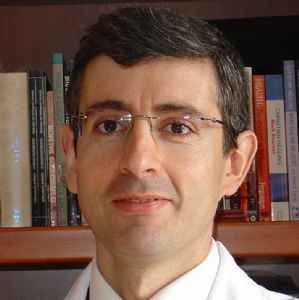 He is a researcher and faculty member at the Bioethics Institute at the Catholic University of Porto, Portugal and previously the European Journal of Vascular and Endovascular Surgery and Visiting Professor at the Bioethics Institute, University of Puerto Rico. He was General Secretary and Council Member of the European Association of Vascular Surgeons in Training (EAVST) from 2000-2003 and Chairman of the Baord of the Portuguese Association of Christian Healthcare Professionals, 1997-2012. Jorge has published extensively on cardiac care and is a referee for several Portuguese medical journals and is a member of the editorial board of Mirabilia Medicinae, the journal of the University of Barcelona.